Make this adorable H for Hedgehog Craft using our Printable Template that’s perfect for learning about forests and forest animals, hibernation, letter H theme or fall/autumn activity. 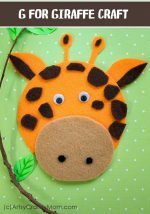 We move on to our next A to Z Alphabet Animal Craft with the Letter H. This craft is from our eBook – A to Z Alphabet Animal Crafts for Kids. The hedgehog is a spiky mammal that lives in forests in Europe, Asia, and Africa. It is similar to the porcupine found in the Americas — you can call this craft a porcupine instead of a hedgehog if you like! 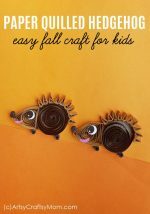 My favorite time to make this H for Hedgehog Craft is during the autumn as part of a lesson about animals that hibernate. Print the Craft template on an A4 or Letter Sized paper. Cut out all the parts – the brown body & the nose. Use these cutout templates as your reference points and trace onto Felt. We used a 2mm stiff felt to make this craft. Alternately, you could use construction paper or craft foam in similar colors. Cut wool and a half a brown pipe cleaner into tiny 1-inch pieces and roll the other half of a brown pipe cleaner into a tight ball to form the nose. You could use a pom-pom or another piece of felt or foam for the nose. Glue the ends of the wool and pipe cleaners onto the body. Finally, add the eyes and your Hedgehog is ready. 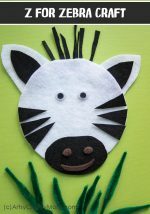 This one certainly was fun to make and as it has a ton of cutting, it’s perfect for working on fine motor skills with younger kids. As it’s insanely cute – you won’t be able to just make one – older kids will enjoy making them too (as will you). 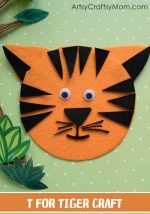 These will also look great on a bulletin board in the classroom, and you can make them in any size you want (I hope one of you makes a super jumbo one and send us a picture). 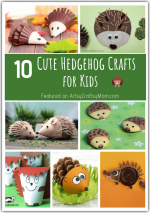 If you home school, run a childcare, or teach any elementary aged kids, this H for Hedgehog Craft would be a great supplement to your Letter of the week curriculum. 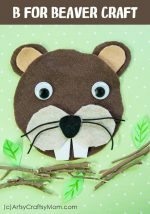 Add this fun craft project when you are studying the letter H, learning about forests and forest animals, hibernation, letter H theme or for a fall/autumn activity. Hedgehogs can hibernate during winters, but not all do. Hedgehogs have a thick layer of spikes (or modified hair) known as quills. They have about 5,000 – 7,000 quills. The hedgehog is nocturnal, coming out at night and sleep all day, up to 18 hours!